Little did I know how much of an adventure I'd have in Doylestown, PA last week. The Mercer Museum invited me to visit their new quilt exhibit of 25 quilts, which is on view until August 13. 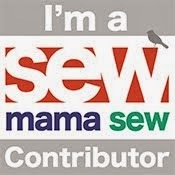 I can honestly say there's something for everyone, no matter what style(s) of quilting you enjoy. I mean, they're quilts, right? Quilts! I have always loved the design element of traditional quilts. Not always the fabrics and colors (though more often than not, I enjoy them, because, well, I love quilts) but always the shapes, patterns, and blocks. After all, this is what the modern quilting movement was founded upon and continues to draw from. In my own work, I lean to the modern traditional side of things - a happy marriage between the two worlds (if you're fond of categorization). So, I was blown away by the beauty and workmanship of 25 quilts on display in all their glory. 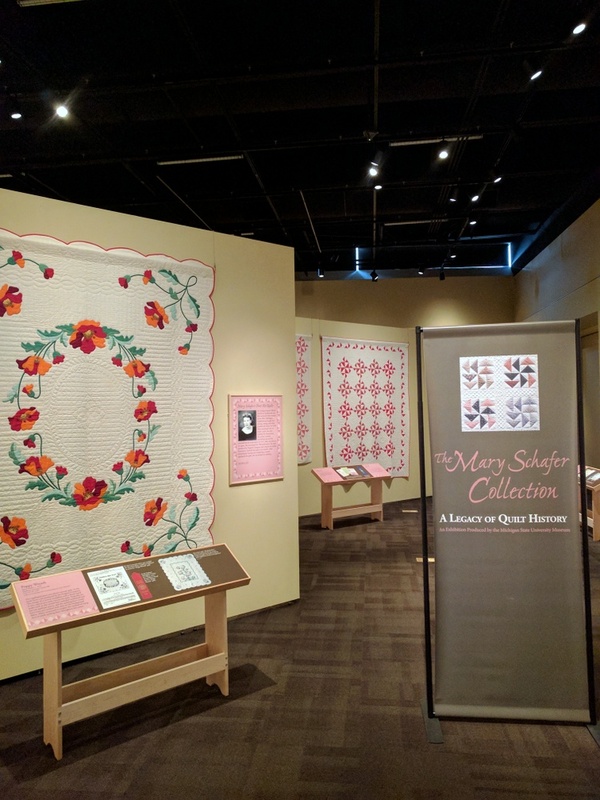 Mary Schafer is widely regarded as "one of an important group of women who kept quilt studies alive between World War II and the 1970s revival of interest in quilts," according to the museum's press release. Almost all of the quilts were hand-pieced and hand-quilted, no less (the tiny stitches are astounding). Most were made by Schafer and/or her friend, Betty Harriman, though some were part of her collection. Speaking of Schafer and Harriman - they never met in person, but developed a friendship over phone and through the mail. Sounds a lot like the internet, but 50/60 years ago. There was some commentary about how round robins worked through newspapers and magazines, too. I knew a little about this, but being a milennial and only a quilter for 7 years, it's hard to imagine round robins sans internet! 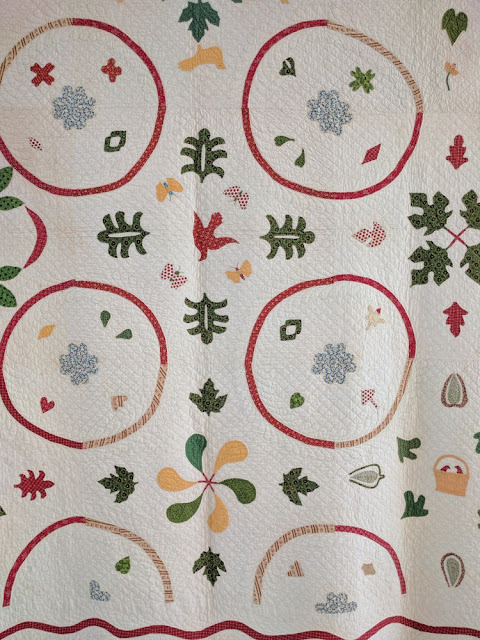 Many of the quilts had hidden meanings that hinted at political events and patriotic themes. It was fascinating to admire the symbolism ( red, white, and blue, eagles, stars, etc.) while reading the descriptions. I have to point out the "Lafayette Orange Peel" quilt below (Mary Schafer, 1974). As the story goes, it's supposedly in honor of the Marquis de Lafayette, who you may know from history class (or Hamilton the musical). You can read the story here on the Michigan State University website. 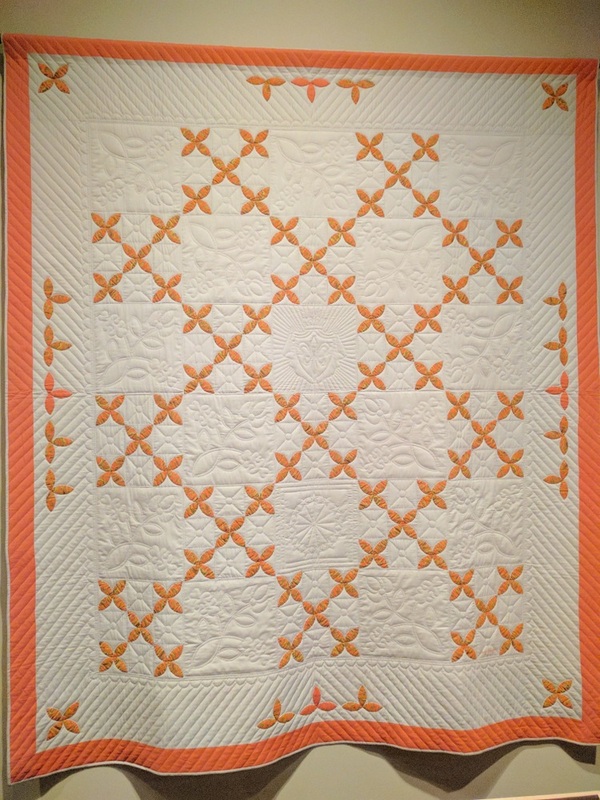 I admit, this was an eye opener for me (the orange peel being my favorite traditional quilt block)! As part of our visit, Chawne @cauchycomplete and I also attended a lecture on red dye in quilts, given by Dawn Heefner. 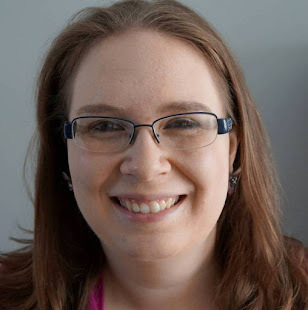 My friend (and quilt idol) Meg Cox is giving another presentation at the museum on July 27 at 7 pm, too! There's so much for quilters to do. 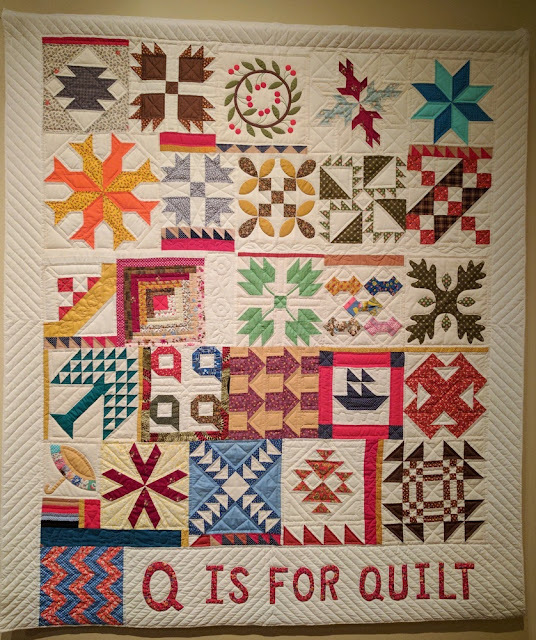 "Q is for Quilt" by Mary Schafer, Gwen Marston, and Joe Cunningham (quilted by Marston and Cunningham), 1987 (as part of the book, Q is for Quilt). Chawne and I were alone in the exhibit, examining quilts on opposite sides of the hall, when two men walked into the room. One of them said, "Oh, are these quilts significant, or are they just quilts?" They conversed a bit softer and then walked away. I was actually a bit taken aback, but then I remembered how (much of the) general public thinks of quilts. They are artifacts, blankets, something that a grandmother once made, etc. (I mean that last one with the utmost respect!). And while those things may be true, it's also true that quilts are an art form (and boy, is it a huge, constantly evolving industry). 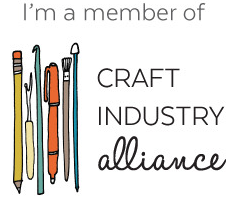 But this is why we need to keep talking about quilts and going to shows and supporting local quilt shops and preparing exhibits and teaching people to sew and sharing work - because quilts ARE important! So, back to the exhibit - if you're in the Bucks County, PA area or anywhere within a few hours, you'll want to make a day out of Doylestown this summer. You can spend time at the Moravian Pottery and Tile Works, Fonthill Castle (which I may need to write a whole separate post about), and the Michener Art Museum (I visited last year for a couple other quilt exhibits). 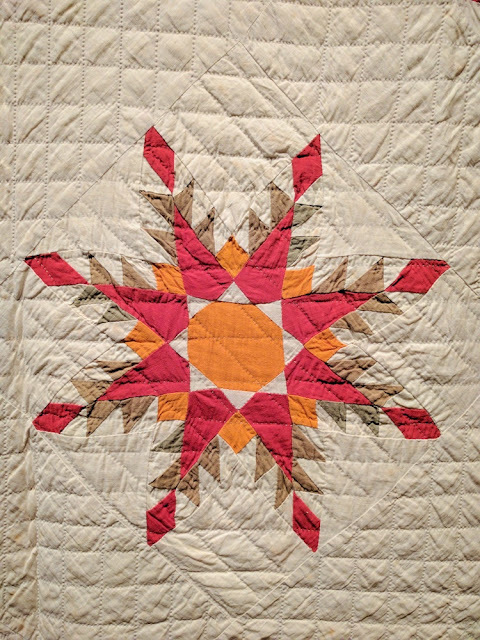 And don't miss the quilts at the Mercer Museum (there are even some of the museum's display in the front lobby - like the one above)! 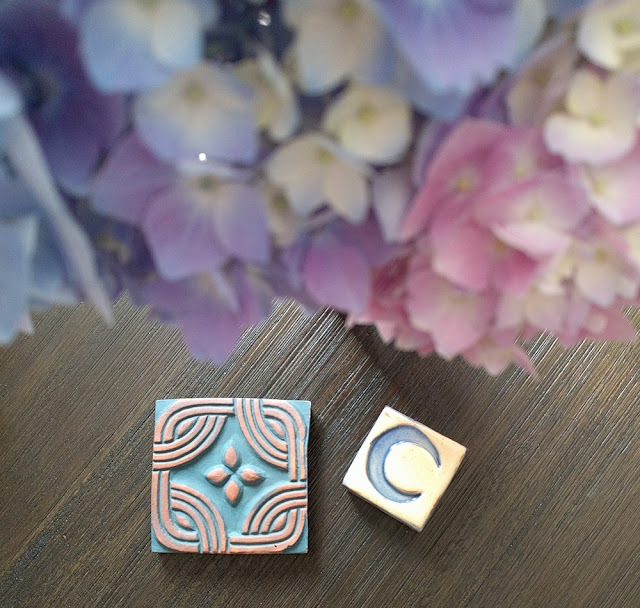 My tiles purchased from Moravian Tile Works - they make me smile every time I see them! 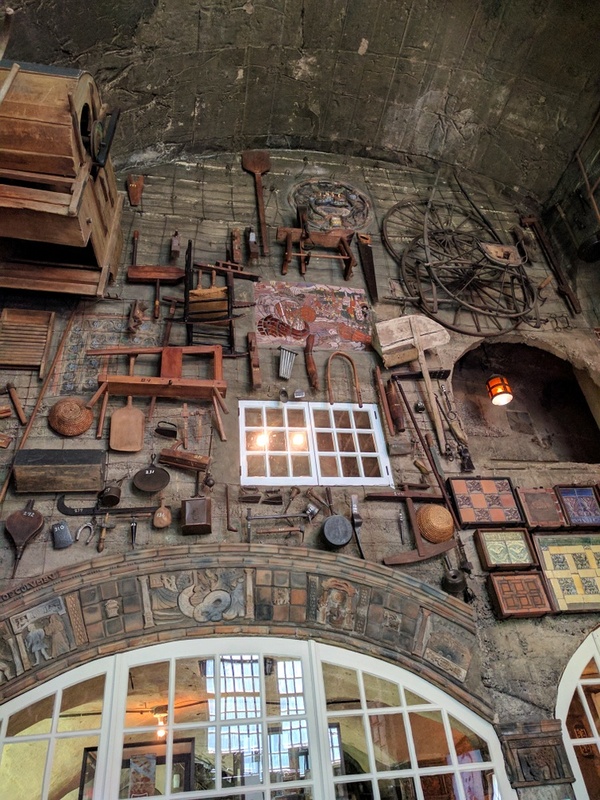 Inside Moravian Tile Works - so much to take in. So many patterns! *Full disclosure: I received 2 tickets to the Mercer Museum to provide this review. All opinions are my own. I really do love Doylestown, PA! Every quilt is significant to me. When I am making it, the intention and focus on it are so consuming... so does it matter whether it is to show some love, send a quilty hug, be a political statement, or explore a new creative idea? I think you are right that we need to keep talking about quilts and I am so curious what the men decided amongst themselves that afternoon. I am so glad you wrote about this exhibit. I love seeing quilts of any age, and truly respect the work of those who have gone before us. We must all support those museums and places that tell the story and preserve these works of art. Each quilt has at least one very important lesson and we would do well to find that gem in each quilt we encounter. I recently read Gwen Marston's book "Mary Schafer, American Quilt Maker" and the passion she and her circle of friends had for quilt making, quilt patterns, and history is really inspiring! 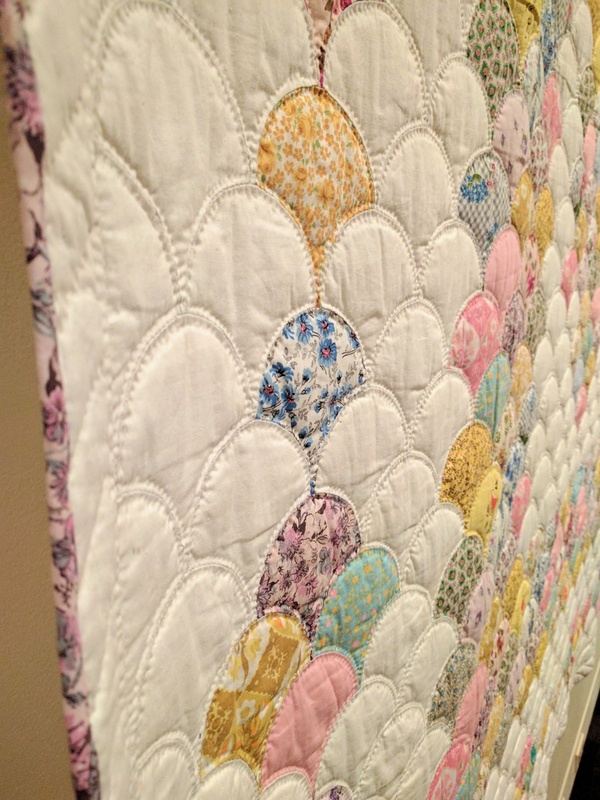 I would love to see her quilts in person, maybe they will travel somewhere a bit closer to me at some point. Meh. every one is entitled to their own opinion. Those others came there to see what they were specifically interested in. Many times I go to the Smithsonian or National Gallery of Art and there are exhibits I skip over. It does not mean I am deeming them "world wide insignificant for everyone"
They were not interested in this collection. Maybe they were snooty. Maybe they came to the facility to see a specific collection with limited time. There are lots of those types every where you go. I know you were not offended, but sometimes things are just not worth judgement.😬 Just a moment of personal contemplation on what is observed as what it appears to be, is not always the truth. It's good to remember that the colors chosen for antique quilts were chosen by candle light for viewing by candle light. Some that seem plain to the modern eye glow in the fire light. Such an awesome show! It is amazing to see the designs and the workmanship. Thank you so much for sharing this with us. See, even older quilts were political. 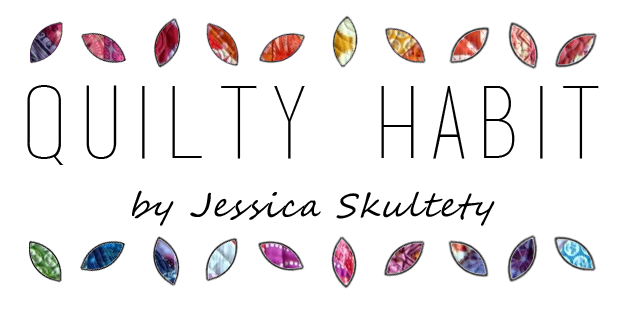 Why did people get so mad when you made yours? Maybe previous generations were more subdued, but that won't stand now. Great review. Thanks for sharing your experiences at the museum. The clam shell quilt and the orange peel quilt left me weak in the knees. I love vintage quilts. I'd be right at home there! I've never heard of Mary Schafer. I'll have to do some research now!